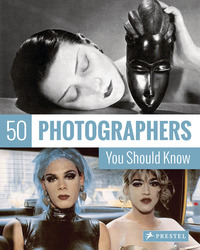 This dynamic introduction to the world's greatest photographers from the inception of photography to today bears proof of the magic of the camera. From Fèlix Nadar to Nan Goldin, each of the photographers featured here represents an important aspect of photographyís evolution. The artists are presented in double-page spreads that include reproductions of their most important works, concise biographies, informative sidebars, and a timeline that extends throughout the volume. The result is a fascinating overview of the way photographers continue to push the limits of their genre, offering their audiences new ways of seeing and understanding our world.